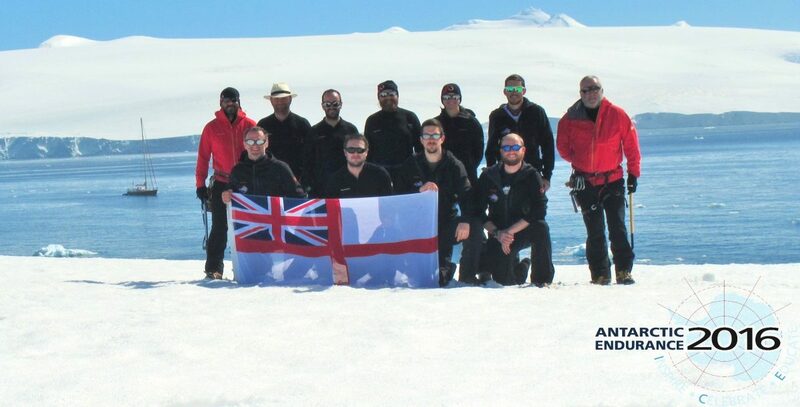 As one of the “Non sailors” on the team, the thought of a 4/5 day crossing from SG to the Falklands didn’t fill me with too much enthusiasm. Apparently to get where you need to on a yacht, you need the wind to be going in the right direction and at a decent speed. Who knew? So for the last 24/36 hours we have been sailing North, no closer to our destination. The reason for this is two fold: a. There was some bad weather to box around to the South and b. it puts us in a good “attack position”, in order to turn West and head straight to the Falklands. This means that we are currently 350 nautical miles from Stanley (A good days sailing will cover 200ish Nm). Yesterday saw a couple of highlights. Firstly we had a pod of dolphins accompany us for a few minutes. This is one of the things that never gets boring (along with penguin selfies). The other was, whilst at the helm, I was alerted by Tony that there was a yacht on the horizon. As we slowly approached the red hulled vessel, we could see that it was much smaller than us and bobbing around in the large swell. After a radio conversation, Stephen informed us that it was ‘Johan, the tall slim French guy’ (oi, oi). He had set out from South Georgia 48 hours before us and was sailing single handedly to Stanley. As we passed him by at almost double the speed, the watch tried to establish what type of person it takes to undergo such a feat, in such a remote part of the world – the debate continues, but perhaps we’ll meet him in Stanley before we move on to Mare Harbour at the end of the month! All this is, of course, on the condition that we don’t have to abandon ship, due to being overrun by ‘toilet regurgitation’. As a grown man of 34, I can safely say that nothing makes me want to cry more than trying to pump away your waste, in a rolling sea, whilst the contents of the bowl is sloshing at your feet. If we manage to find the phantom blocker, he/she owes me. Big time. The last 2 nights’ dinners saw the reheating of a previously made cottage pie and then a bolognaise sauce to go with freshly cooked spaghetti. Needless to say that the inter-watch “Come dine with me” resumed for today’s lunch, which saw Molly “peg leg” Macpherson bang out some home made oggies (Pasties), that Ivor Dewdney himself would be proud to serve up. This morning saw the first pack of bacon opened and I underwent the task of presenting the oncoming watch with a smally full English! Unfortunately there were only ten rashers of bacon and eleven carnivores, therefore someone had to dip out. Kris “admin vortex” Cunningham was doing his duty good egg (excuse the pun) piece on the helm, which meant that unfortunately he didn’t “bring home the bacon”. I’m sure he will assassinate my good character in a future blog!!! Yesterday also saw our first “casualty”, as Josh’s Chicken noodle soup had to be ditched overboard. Who knew that putting pasta in the water the night before would create something resembling wallpaper paste? I think a re-teach maybe required Elizabeth! Tonight’s meal is going to be some form of Thai green curry, although provisions are running low. Our resident cake baker Dan is currently chasing the ingredients around the galley and he is once again preparing his copyright patent pending, “sea oven stabiliser” (a tuna can propped up by a fork). One can only hope that he once again finds the stash of chocolate that is fast becoming an urban myth on board (along with the Chocolate Hob Nobs). With fair weather and good winds, we aim to be in the Falklands on the 25th. This will be followed by a team meal at the Malvina House Hotel, where we will be at the mercy of the dittling gun. Hopefully they have something with bacon on the menu……………………….